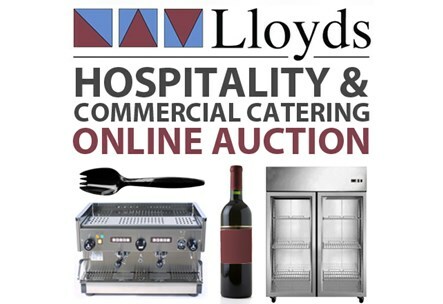 Lloyds Auctions are uniquely placed to offer an extensive range of catering and hospitality products and equipment. Our strong relationships with corporate and private hospitality providers mean that we are uniquely placed to source a vast array of quality items for auction. This is particularly in relation to commercial restaurant kitchen fit-outs. We can assist with products and goods for all aspects of catering, hospitality and the food industry Australia wide. It doesn’t matter if you are a small or large business, a cake decorator or a smoko van operator. From commercial kitchenware to chef’s hats, there’s an ever-changing catalogue of supplies available. Maybe it’s a deluxe coffee machine for the best in barista made brews? Or, perhaps it’s the sharpest of knives to give your business that extra edge? Make sure you don’t miss out! We are a prime supplier of catering equipment Australia. Ovens, deep fryers, fridges, benchtops, bain-maries, pizza-dough makers – you’ll find all this and literally even the kitchen sink! Indeed, here at Lloyds Auctions you can expect regular quality lots of goods that feature commercial sinks and fryer. What does this mean for you? Well, you could easily get started on your restaurant fit-out at a fraction of the price it would cost you retail. Also, we are the perfect solution if you are looking to upgrade your existing equipment on an ad-hoc basis. If you are in the restaurant business, you’ll want to check us out. Or, have you been dreaming of opening a café all your very own? It’s now within easy reach. You can source all manner of commercial furniture (tables, chairs etc.) via our simple and easy bidding process. Want to go next level? How about a smoke machine or even a mirror ball? We source amusement and gaming equipment for use in TAB’s, bistro’s, RSL’s, hotels and, of course, casino’s. You will find all that you that you could possibly need and more in relation to the hospitality industry at one our Australian auctions.